Agreement under which a Producer funds the recording of musical performances by an artist. 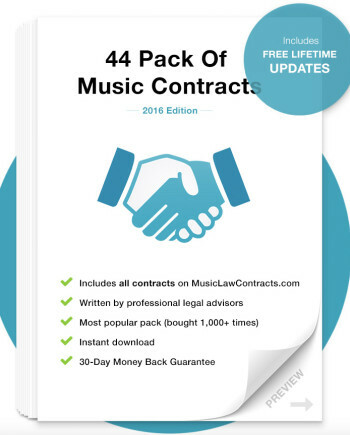 Producer is assigned full ownership of copyrights and representation rights for the length of the term of the agreement OR up until copyright is assigned to a third party label OR once production costs have been paid by artist to Producer or recouped in the form of Royalties or otherwise. Termination of the agreement does not affect Producer’s entitlement to royalties. This contract is 7 pages long. You’ll get Microsoft Word version for easy customisation.